One of the biggest costs in analytics is data wrangling: Getting your messy, mis-labeled, disorganized data together so you can actually ask your questions. All data wrangling tools force you to do all this work upfront, before you actually know what you even want to do with the data. Mimir lets you at your data sooner by tracking your cleaning todos. Ask first, clean later, with Mimir. Stop messing with data import and relational schema design. The versatile LOAD command allows you to quickly transform documents into relational tables without the muss and fuss of upfront schema design or defining complex transformation operators. Mimir keeps track of your wrangling to-dos, marking query results that might have errors. 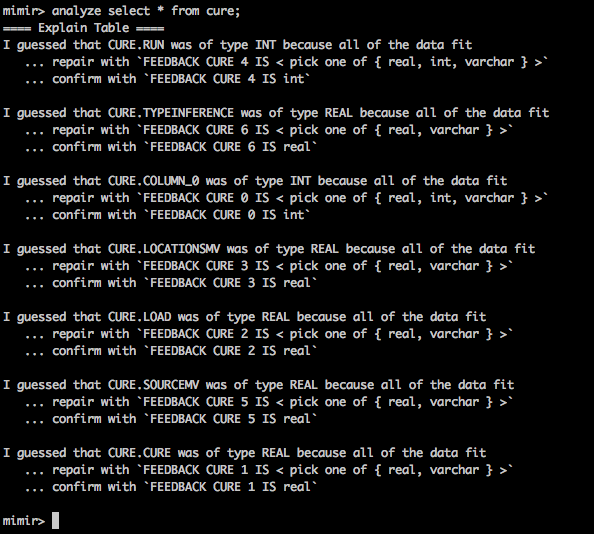 When you need to be more precise, the ANALYZE command zeroes in on the specific wrangling you need right now. Unlike most other SQL-based systems, Mimir lets you make decisions during and after data exploration. 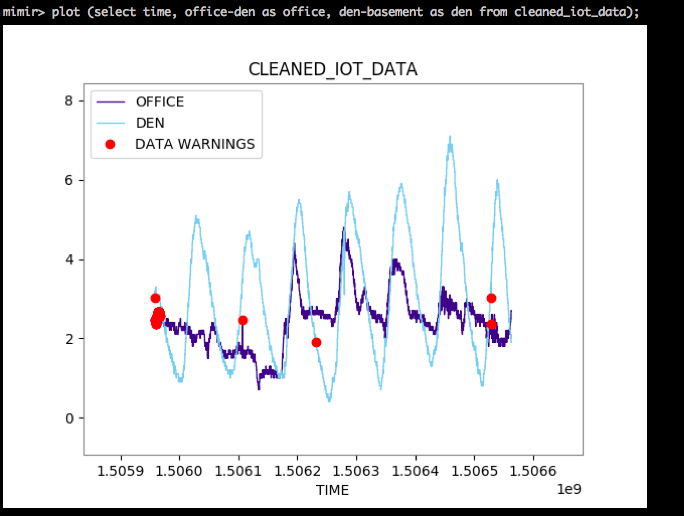 All of Mimir's functionality is based on three ideas: (1) Mimir provides sensible best guess defaults, and (2) Mimir warns you when one of its guesses is going to affect what it's telling you, and (3) Mimir lets you easily inspect what it's doing to your data with ANALYZE. Better still, you don't need any new infrastructure. Mimir attaches to ordinary relational databases through JDBC (We currently support SQLite, with SparkSQL and Oracle support in progress). 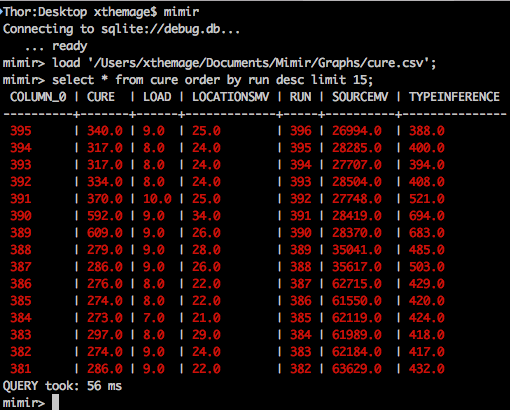 If you don't care, Mimir just puts everything in a super portable SQLite database by default.